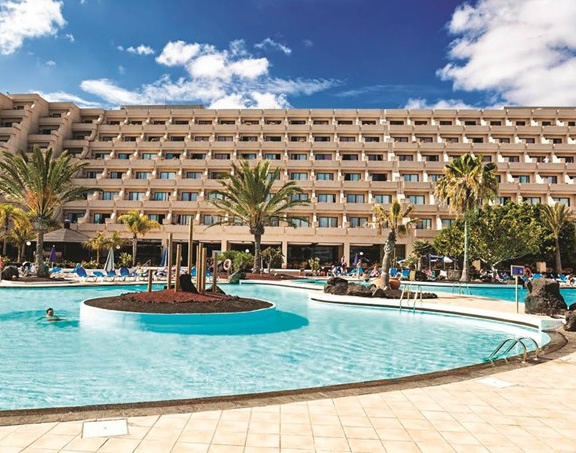 The popular 4 star Grand Teguise Playa is ideally located right by the sea in the popular holiday resort of Costa Teguise. The Hotel Grand Teguise Playa is an eye catching modern hotel with a small almost private beach accessible through a gate at the rear of the hotel. 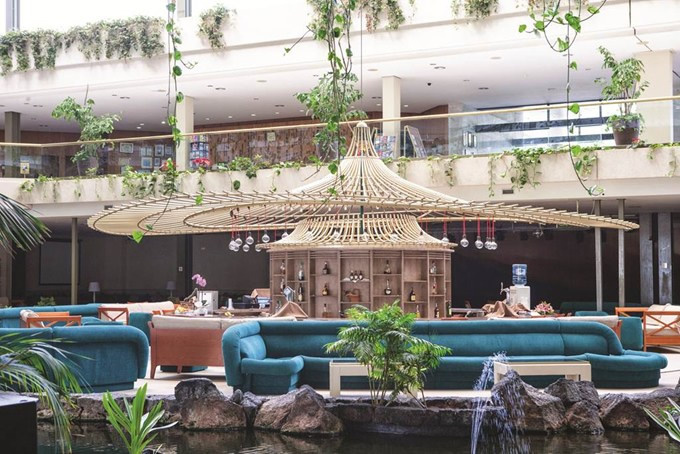 Two of the most striking features are the large welcoming reception area and the beautiful bar which has a slowly revolving floor (floor switched on in an evening). 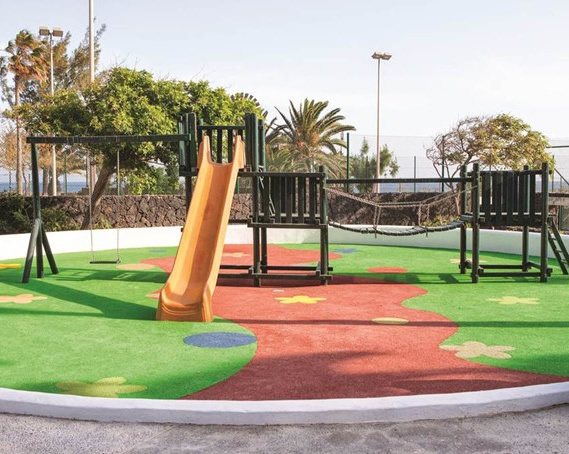 The Teguise Playa is conveniently situated a short transfer or taxi ride of 14 Km from Arrecife airport and only 2Km from the island's Golf Course. Each of the Grand Teguise Playa's 314 double rooms have an ample terrace to allow you the best way in which to relax in privacy while on holiday. 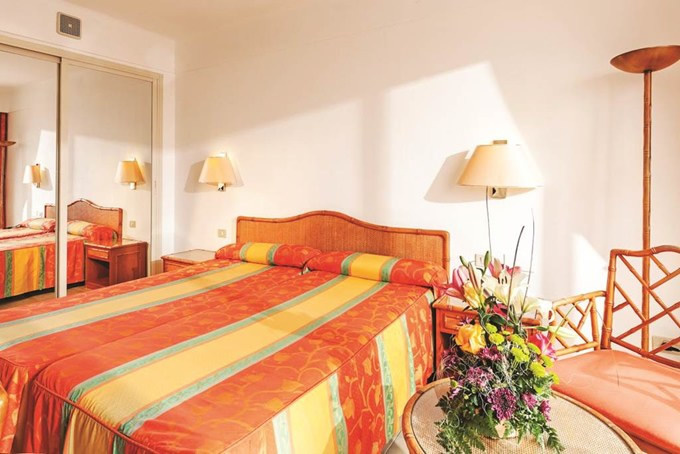 This combined with sea views, air-conditioning, mini-bar, satellite television and telephone mean that a stay at the Grand Teguise Playa will be as comfortable as possible. In addition to the standard double rooms there are also 11 suites available each of which contains an additional living space. The Grand Teguise Playa hotel has a vast choice of facilities to keep all the family occupied during their stay there are two tennis courts, table tennis, squash court, snooker table, mini-golf, billiards, Giant chess board, gymnasium, Jacuzzi, aerobics, massage, sauna, three swimming pools (one heated, one unheated and one for children). Wide sun terraces, loungers and parasols. Daily activity program that includes; evening shows, nightly live music and fortnightly folklore evenings are offered at the hotel. 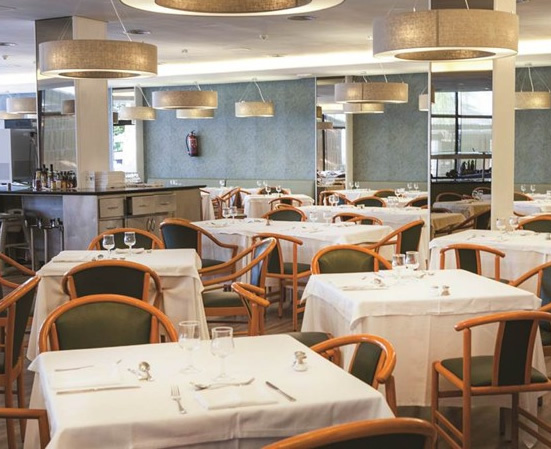 The Grand Teguise Playa offers the buffet stile restaurant El Jablillo, where you can try a range of international food with show cooking and theme nights 3 times per week. The pool Bar “Estrella” is just the place to enjoy the sun and the sea breeze while you take your favorite refreshment or cocktail. why not try one of the hotels award winning cocktails. in the lobby Bar 'Alisios,' open in the evenings, here you can relax in exuberant tropical vegetation after a day full of leisure and fun. The Grand Teguise Playa has an abundance of services to aid your holiday pleasure including, rent a car desk, Wi-Fi throughout the hotel, laundry service, babysitter (on request,) Doctor (on request,) tennis and squash classes, pool table, sauna, whirlpool, massages, internet point, shops and meeting rooms. Please note there is a local charge for the majority of these services.